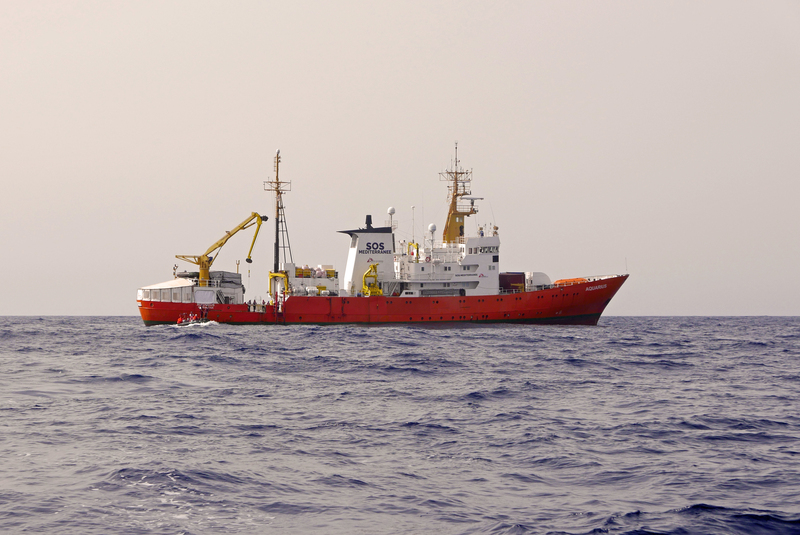 During a rescue in the Mediterranean Sea on 23 May, the Libyan coast guard approached boats in distress, intimidated the passengers and then fired gunshots into the air, threatening people’s lives and creating mayhem, our Médecins Sans Frontières (MSF) team working with SOS Méditerranée witnessed the violent incident. 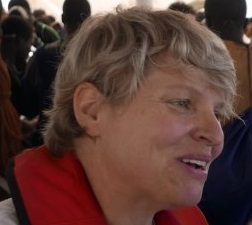 Operations manager Annemarie Loof is part of the MSF team with SOS Méditerranée that had been alerted to the position of the boats in distress. She details what happened next after they moved in to help them. "Teams distributed life jackets to the passengers in preparation for the rescue. More than twenty passengers were brought to the Aquarius, the search and rescue vessel jointly operated by both organisations. 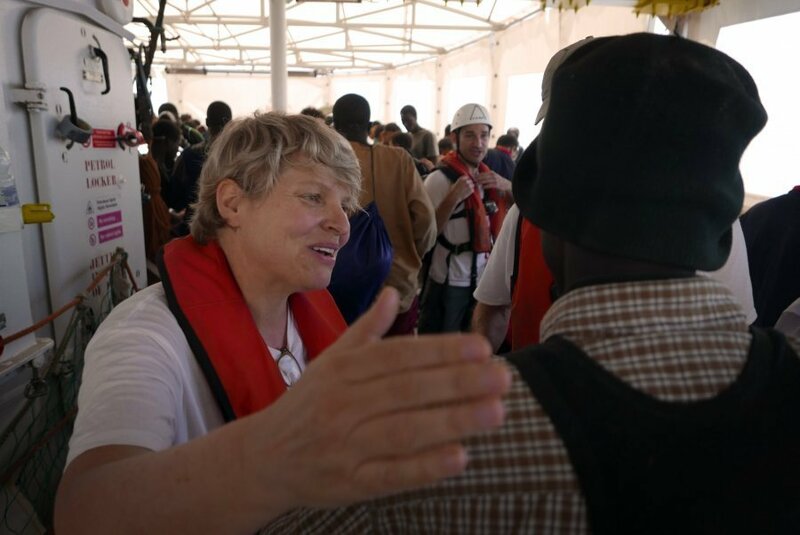 "knowing that the Libyan coastgaurd has been receiving training and support from the European Union makes the incident all the more disturbing." The other passengers remained on the distressed boat, while the teams had to go and provide assistance to another boat which was in a more critical situation. In the meantime, a Libyan coastguard vessel with mounted weapons approached. Two Libyan coastguards, wearing uniforms and armed, stepped onto one of the rubber boats. They took phones, money and other belongings from the passengers. People became panicked and felt threatened. The passengers were terrified from the aggressive conduct of the Libyan coastguards. This caused mass panic to break out and ended with more than 60 people in the sea. "I was not afraid, I preferred to die at sea rather than being repressed and to die in Libya." “I was not afraid, I preferred to die at sea rather than being repressed and to die in Libya." Many passengers who had luckily already received lifejackets before the shooting began, jumped off the boats into the sea in fear. Our teams pulled 67 people out of the water as gunshots were fired in the air. It’s a miracle that no one drowned or was injured. The Libyan coastguard showed very little regard for the wellbeing of the people in the boats in distress. Their behaviour was reckless if not directly threatening to the people on the boats. Knowing that the Libyan coastguard has been receiving training and support from the European Union makes the incident all the more disturbing. We believe that the Italian and European authorities should not be providing support to the Libyan coastguard, either directly or indirectly. This support is further endangering people’s lives. Despite all the chaos, our team working with SOS Méditerranée were able to safely bring 1,004 people, including a two-week-old baby, on board the Aquarius.